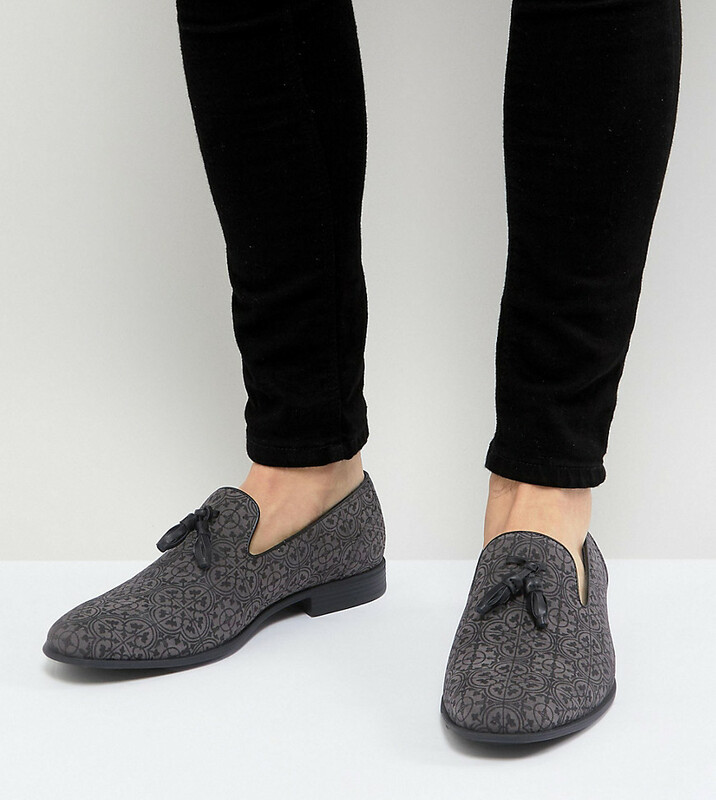 Loafers by ASOS, Suede upper, Printed design, Slip-on style, Tassel detail, Round toe. ASOS menswear shuts down the new season with the latest trends and the coolest products, designed in London and sold across the world. Update your go-to garms with the new shapes and fits from our ASOS design team, from essential tees to on-point outerwear, and jeans from skinny to straight and beyond.